The Top Rod Solo Trail has certainly upped the ante among North Alabama Bass Fishing circuits in 2012. In just its second year of existence, the founders of the Top Rod Trail have secured $6,000 in prize money from area and national sponsors that will allow them to pay back over 150% of entry fees. The trail is for solo anglers only. Each participant fishes alone in their boat and it is open to anyone willing to pony up a very reasonable $50 entry fee. The low entry fee is what makes the Top Rod Trail such a great value, and it now offers a chance to make quite a bit more than a couple hundred dollars. Each of the 10 monthly tournaments has an additional $500 added to the purse from the sponsors, resulting in a guaranteed $500 minimum first place prize. 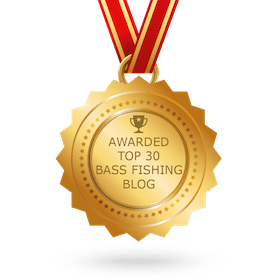 The remaining payback depends on the number of entries, and part of every entry fee is withheld for the year end two day championship and Angler of the Year purse. With an average of just 25 boats per tournament, the Angler of the Year and Championship purses grow to $2500 each, with $500 from sponsors thrown in on top of that. One unique aspect of the trail is the qualifications for the championship and Angler of the Year. The trail will visit five North Alabama lakes again in 2012, hitting each venue twice, once on Sunday and once on Saturday. To qualify to fish the Championship, an angler only has to fish one tournament on each lake on the schedule, but he must fish each lake at least once. Also, the Angler of the Year standings take each angler’s best finish at each lake, giving each angler two chances to get points on each body of water. The sponsors come from mostly the North Alabama area and include some companies not normally associated with fishing. Shelton’s Outdoors of Moulton, AL returns for a second year as the sponsor of the Angler of the Year. Dobyns Rods, T-H Marine and Frogg Toggs are recognized nationally for their involvement in fishing and are some of the new additions for 2012. A and A Tackle of Gardendale, Eddie Preuitt Ford of Hartselle, MarMac Real state, Streamline Cutting and Lawn Care of Decatur, Superior Scaffolding and Insulation, Shook and Fletcher Insulation, Patrick Johnson State Farm Agency and Berry, Berry, Little & Brunner Attorneys at Law make out the list of companies that make the terrific 150% payback possible. “We are really thankful for our sponsors this year”, Crow said. “Most of them evolved from personal relationships of mine, Nick, Allen, Rex and Joel Green and no one even hesitated when we approached them. I think they see the opportunity that we have with this trail to attract some major attention in this area and have some really big numbers at our tournaments. The full schedule for the trail as well as results, rules, and standings are updated after each tournament at the Top Rod website: www.toprodtrail.wordpress.com.